Door and Window Trends for 2018 - Is Your Home Ready for an Update? Your doors and windows are key elements of the comfort and efficiency of your home but they also have a big impact on your home’s appearance. Not only will they significantly up your curb appeal, they can easily become a room’s focal point. So, if 2018 is the year for a home update, you might want to keep the latest door and window trends in mind. This year is all about keeping it simple. 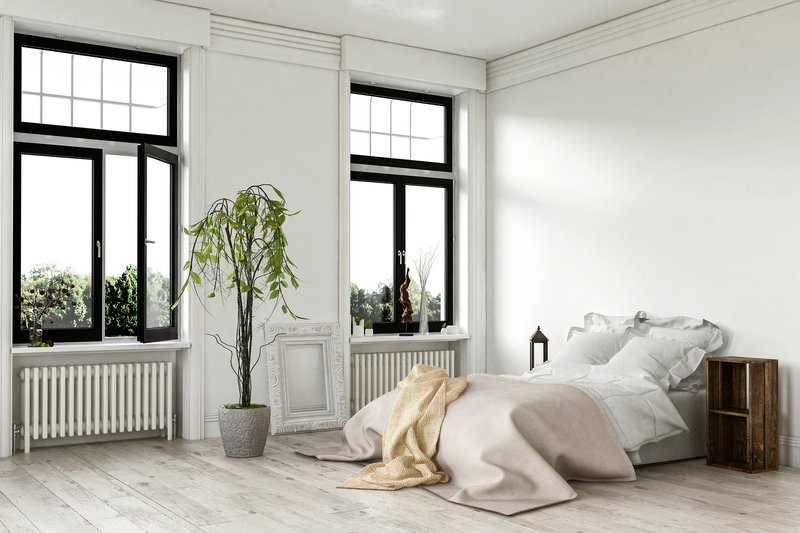 Many homeowners are opting for a more minimalistic look with clean lines, dark colors, and lots of glass. Today’s door and window trends favor crisp lines and squared-off edges. Some homeowners are even looking to duplicate the look and feel of storefront windows by having aluminum or steel-framed windows installed. This trend is increasing the use of casement windows over double hung units. While accent windows above the main windows or in exterior doors remain popular, homeowners are choosing more square and rectangle-shaped windows. The familiar arch topped and curved shaped windows seem dated in many newer home styles. With more and more homeowners embracing outdoor living, the search for ways to connect the home’s interior to the outdoor space is becoming a huge trend. This goes beyond the traditional sliding patio door. From French doors to multi-panel patio door as well as custom combinations, it seems like the more glass the better. With dramatic views and increased natural light, expansive glass is a great way to combine indoor and outdoor living. Passthrough windows connecting the kitchen to the outdoor living space is becoming a popular option as well. Many homeowners are getting back to nature a bit and opting for the rich warmth of real wood doors and windows. Traditionally, wood windows were made out of pine but today they are made from a variety of different prefinished woods, including cherry and maple. For homeowners that like the look of wood but not the upkeep, many manufacturers offer vinyl and fiberglass door and window options that very closely mimic the look of real wood. 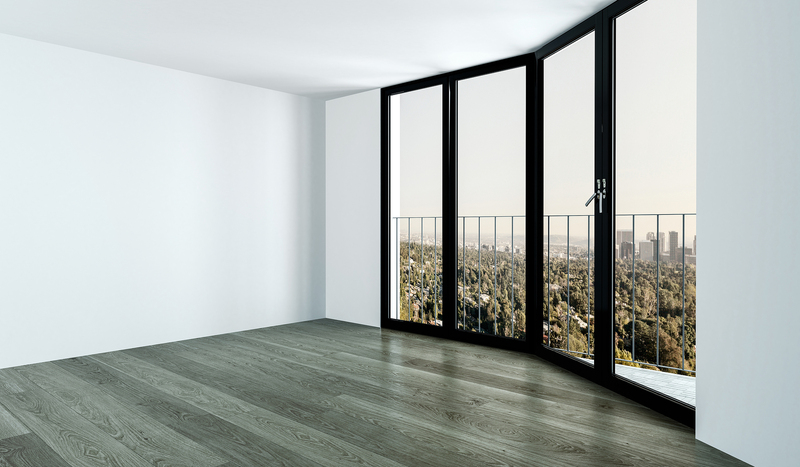 One of the biggest trends in doors and windows is black. It has long been an interior design recommendation that every room should have a bit of black. Why not black windows or a black door? The look can take a more dramatic turn when black trim or molding is added to a black door or window. Or for a modern country feel, it could be softened by combining white trim and moldings to the black door or window. What good are beautiful doors and windows if they don’t protect your home and keep your family comfortable? While some consider this a continuing trend, energy efficiency is truly a “must have” feature when choosing new doors and windows. Energy Star certification has become an expectation and a requirement for many homeowners. Ready for a Door and Window Update? It’s best to consult with door and window professionals before making any final decisions for your home. Toms River Door & Window can guide you every step of the way, from consultation to installation. We carry ProVia and Sunrise doors and windows, which offer a wide variety of styles and finishes. We’re certain we can achieve just the look and feel you had in mind for your home, along with superior craftsmanship. Owner/Operators of Toms River Door & Window, Jerry and Bob Mikaelian worked in the construction industry as window installers before seizing the opportunity to open their own business more than 45 years ago. They are proud to run a company that is based on personal service and integrity, with the goal of always providing the best service possible for customers. We understand that having new doors and windows installed is a big investment. At Toms River Door & Window, we offer a variety of easy-to-use financing options for homeowners in New Jersey. During our in-house visit, one of our specialists will help you find the financing options that work for you! Schedule a consultation today!